C.J. Redwine: Celebrate MAY Giveaway! May has become an important month to me. In May 2003, I was diagnosed with cervical cancer. In May 2004, I was pronounced "in remission." In May 2005, we started the process to adopt our daughter. In May 2008, I was pronounced "cured." In May 2011, I sold the Defiance trilogy. You can see why May is an important month for me! I am grateful for every May milestone. Yes, even the cancer. Everything, good or bad, has taught me something valuable and has turned into a blessing over time. I'm grateful, and I'd like to celebrate! To celebrate, I decided to give things away! What things am I giving away? No, not my Johnny Depp poster. Get your own. I'm giving away DEFIANCE things, of course! Grand Prize: An annotated, signed ARC of DEFIANCE. Second Place: A signed DEFIANCE bookmark, and the opportunity to have a secondary character in book 2 named after you or someone you love. Third Place: Two people will each win a signed DEFIANCE bookmark. 1. The contest is open to North America only, but check back at the end of June for an international giveaway! 2. You must leave a comment on this post telling me something or someone you're grateful for and why. 3. You must leave me a valid email address to use in contacting you if you win. 4. The contest is open until 8 p.m. Central Time May 31st. I am grateful for my hard working husband who provides so that I can stay home and raise our kids. I am grateful for being able to stay home and raise my 10 month old boy instead of having to put him in daycare. Wow, May certainly is a HUGE month for you! I am in awe of your attitude, despite all the things you've been through. Today is my husband's and my three year wedding anniversary (though we have been together for nine years) and I am so incredibly grateful for him. For the three years that we have been married, I have struggled with almost constant kidney stones. He has been there with me to every doctor's visit, ER trip, and surgery, and he has never once complained. He is my rock, and I am so lucky to have found him. I am very grateful for my mother who has always put up with me and supported me through everything. I am grateful for my mother. I come from a family where we don't really share our emotions or feelings, but my mother has her ways of showing how much she cares. She always put her children before herself, even when we're being brats (I'm using a nice word there). I'll be even more lost than I am now if she weren't there. AH! MY EMAIL! I forgot! Sorry! I'm grateful for the perfect weather we're having today in DC. I'm grateful I work at a place where I took a long-ish lunch so I could have a nice walk in the sunshine. I'm grateful for that walk as well- a lovely, brisk, head-clearing walk. I am grateful for laughter. It's what keeps me going. That's incredible. There's coincidence and there's stories like this that make me believe just about anything is possible. I'm grateful for opportunity. For the fact that I am in school right now studying so that I can help make a difference in the world. For the fact that even though it's hard, and I fall asleep at my desk often with course readings, that I don't give up and give it my all. And I'm grateful for the people who tell me that, hey, it may be hard, but you can do it. These people don't know how much that means, but I'm humbled all the same. I've been pining away for this book. Congrats on your sell to Harper and also on being cancer free for almost 10 years. That is truly amazing! I'm grateful for my friends and family! I have been really blessed with wonderful, loving people in my life and also I am grateful that I have graduated college and that I am officially done with school! lol. I am grateful for my parents. They have always supported my dreams, even bending over backwards to support me and make sure I can do everything that is important to me. The thing that I am really grateful for is that they are still doing this even though we are having financial troubles. I will never forget the sacrifices they've made for me. I'll stick with the May theme!! My mom and gramma's bday's are in May, and my other grandparents celebrate their wedding anniversary in May~~66 years on the 4th!! So I'm grateful for my family!! I am grateful for my mother. I am VERY grateful to have a mother who read to me and my siblings when we were younger. Who read my first stories and explained to me all the little things like 'paragraphs' and 'quotation marks'. And who introduced me to things like NaNoWriMo and the entire fantasy genre. If not for her, I would not be the writer I am today. And considering she and my dad got in a car accident two days ago and emerged relatively unscathed, I am very, VERY grateful for my mom. I am grateful for my two children. Having them has shown me what love really is and reminds me to enjoy life every single day. I feel lucky every day. i'm grateful for sunshine, inside and out. I am grateful for my parents. There are times that I take them for granted, but all in all, I know that they love and support me in everything I do. There is no way that I could possibly express my gratitude for what they have done for me. It is because of them that I am pursing writing and it is because of them that I now have a Bachelor's Degree in Nursing. They pushed me, always wanting the best for me. Especially my mom, who is a role model for me in every way. I am grateful for the internet and social media sites...they have helped me discover writers and allowed me to follow them, sharing their joys and tears - this has given me the courage to continue my own writing despite my MS. Further, because of the internet, I now know that someday llamas and squirrels will take over the world and we are nothing but pawns in their game. I'm grateful for my mom who always supports me no matter what. I'm grateful for the two young ladies who used to live around the corner who babysat our kids, even traveling into the allergy-filled mountains with us one time for that very purpose! Ha! That was the trip where a bird pooped in my hair when I had the kids outside! That's pretty much all I remember from that trip, lol. I am grateful for you dear daughter! Life would certainly have been different without you!!! I'm grateful to be a mom. I'm constantly reminded what it's like to have my heart walk outside of my body daily. They remind me how precious life it. For them, I am grateful. I am most grateful for my twin sister that stands by me all the time. She is the solid rock in my life, even when it comes to doing school work, she will always be there for me~ :D I LOVE YOU STELLA! I am greatful for my dad. I was adopted at three days old; my birth mother gave me up when she was 21yrs old. My aopted dad and mom took me home and cared for me as their own. My mom was diagnosed with cancer and died when I was 3yrs old. My dad handled it as best as he could and still managed to work a job and take care of me! He saved up since I was brought into the family for me to go to university and supports me fully in anything that i do. I'm grateful for. . .
. . .a couple hours of me time after the kids are all in bed. Sound really pathetic but after an entire day of NOISE and NEED all I want is to relax with the relative silence of my own mind. Well, that and a good book. Nothing gets me feeling like I can face another day like a great book. Wait there is more. . .
. . .unexpected surprises of loyalty and understanding. I have recently had this sort of moment with my mother. I always knew she was proud of me but I didn't understand how much she believed in me. I mentioned a dream of mine, which I expected her to find silly, and she got behind it one hundred percent. So I am grateful for my mother who will always have my back and encourage me to dream. i am grateful for my parents and siblings. spring 2012 was a particularly challenging semester in grad school and i love that they listened to my ranting, bitching and tearful stressing without complaint. I am thankful for authors who write awesome books! Okay, cheesy answer, but still true! lol. And here I am doing the same thing as everyone else -- forgetting my email! It's MegTrotter AT gmail DOT com. Ah Cj Redwine! Thanks for this giveaway! Ever since i first heard about you book in a WoW post, I knew i wanted to read it! Thanks also for having a main character with my first name! I so rarely see Rachel's in books. I am thankful for my dog who always loves me even if i made embarrassing mistakes. I am also thankful for outstanding giveaways! I'm thankful for my puppies, who keep me sane and lower my blood pressure when my students or my writing raise it! So looking forward to your novel!! I am grateful that after living with Multiple Sclerosis for 11 years, I am still fully functioning. I have 3 small kids, a wonderful husband, supportive parents and still work full time at a job I truly love! 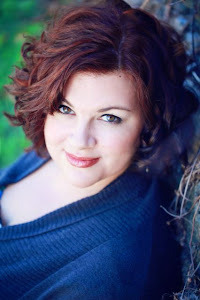 I am a high school librarian and I adore each and every one of my readers! I most thankful for the precious time I was given with mother before she passed a few years ago. Also for my wonderful husband and my beautiful children. I am so grateful for each day that I have with my husband and daughter. My husband has been ill for the past few years and it looks like it is a terminal condition. So everyday that we get to laugh and love our family is truly a blessing! Congratulations. Not all stories turn out like yours, so it's great to hear when beat cancer. I'm grateful for my parents. They did all they good to give me a good start in life, and have supported me every step of the way. I am so grateful to my mother who has stood by me no matter the problem/issue and has always offered me loving and realistic advice, even when I didn't want to hear it. Thanks for this giveaway, and I'm so happy for all you've overcome. I am gratefull for my family and friends who are always there for me. I'm so ever grateful for my husband. Not just because he got my flowers today (he did), but because he's my rock. My strength. He always supports me. I'm very grateful for my mom and my cat. They are my strength. I am grateful for the opportunity to share good literature with the members of my school community. 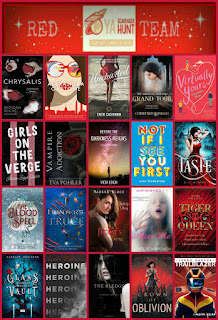 Winning a book would be an awesome gift for my library! I'm so grateful for my family and the love, loyalty, and support that I receive from them. Grateful for my wonderful family! They've been supportive no mater what. I am grateful for my boyfriend (who I get to marry in just 37 days WHAT) who understands me and accepts me. Who loves me unconditionally. Who puts up with my craziness. Who kills all the bugs for me. Who works so hard to support us and provide us with the kind of life we've dreamed of. Ah, I just love him! I am also grateful for his 12 year old brother who just last night saved us all from this hideous, hairy, 1/2 lb moth that infiltrated our house last night. Shudders. I'm grateful for my father, who just seems to "get" me. If I need someone to just listen, he's always there without judgment and without criticism. I am grateful for clean air that allows my family to enjoy the great outdoors. My children can run around outside without breathing in smog filled air. I can wake up in the morning and smell the dew on the grass and the sweet smell of flowers on the breeze. That is what I am grateful for. I'm grateful for warm, sunny days. I am so grateful for my boyfriend. We are in a long distance relationship, which is always hard, and many people can't handle it. But I don't know what I'd do without him, so I feel so lucky to have a boyfriend who's hanging in there. I know that he'd rather get through a few difficult months/years and then spend the rest of our lives together rather than never be with each other at all. He has this amazing way of looking at me that just makes me feel so special, loved, and appreciated. I have so many weird quirks (don't we all) but he loves me no matter what, and I know that he'll never stop loving me. He listens to every single word I say and can perfectly recall all our conversations. It's amazing to have someone who LISTENS to you intently and treasures the words you share. Thank you so much for this wonderful opportunity :) It is pretty crazy how all (or many) of your major milestones occurred in May! A worthy celebration! #1: My Mom. She was my best friend and practically my sister in many ways. Blunt to a fault, her advice got me through many sticky spots; especially when I wouldn't listen and she knew I needed to. She taught me how to work hard, always have a goal, and above all love your family. I am grateful for my family. Even though they annoy me sometimes, they are always there for me when I need them. I am also thankful for reading and books because reading and escaping to another world in a book always helps me when I am feeling sad or distracted or stressed out. Those are some really great things that happened in May. Can't wait to read Defiance. Yay! I am grateful for my sisters. They know each little silly thing about my childhood, they love my children to pieces and they are the best friends I have. I am grateful for Eric, my husband. He has believed in me from the very second I decided I wanted to pursue my dream of becoming an author. An example would be about a month after we became engaged, I was struggling to finish my first NaNoWriMo using my sister's laptop because I didn't have one of my own, but it was somewhat of a hassle having to schedule when I could use it and all. I was driving and he turned to me with this thoughtful look on his face and said he was going to buy me my own laptop. I told him it was too much of an expense but he said that I was a writer and I worked hard and I deserved my own laptop. It was good we were near our destination because I was so overcome with the sweetness of it that driving was a little difficult. He bought me this laptop (that I'm using now) that weekend using his paycheck, choosing to go without that week instead of see me go without something he considered necessary for my writing journey. That is one of the best stories evah! I am grateful to my grandmother. She is always there for me know matter what. She practically raised me and I will always be thankful for that. I'm grateful for my three friends; I met them this year, and we donded immediately! I am so grateful for my sister and her family. She is always there for me. Whenever I'm feeling down I can go to her house and the snuggles from her kids make life better. Funny, as much as you love May, I hate it. Lots of bad stuff happened to me in May. BUT, I am grateful for my daughter. She came along at the perfect time, when our family needed some new life to get us going again (and of course she's the best kid ever). I am very grateful for my mother because she does everything she can for me. I'm grateful for my mom and my cousin Amanda for just always being there. I am so grateful for my grandmother. I don't now what I'd do without her. She has the biggest heart. I'm grateful for zillions of people, but my hubby tops the list. Gwynly deserves a gold medal or something for putting up with me. He picks me up when I'm down, celebrates all of my successes, and makes me laugh when I take myself too seriously. He. Totally. Rocks! I am very thankful for my stepmom. Without her I wouldn't be the woman I am nor would I have such a great little sister. I am grateful for my son. I never realized how much you can love someone until i had him. I'm sincerely grateful for so many things, but the top of my list, always: My husband and daughter. I'm blessed that they're in my life, and they're both healthy. I could wax poetic for hours upon hours about my husband. Suffice to say, I am luckier than I deserve. He is a saint to put up with me. I am grateful for my mother. At times, she can really annoy me and talk where she shouldn't, but as she is getting older, I realize just how many things I rely on her for. If I want to vent, need to know a recipe, need a babysitter, or just want to talk, she is always there. I take for granted that if I need her she is but a call away. Don't know what I would do without her. CJ, I had no idea about the cancer and I'm glad you're OK now! My own gratitude story is fairly recent - I am grateful that after 8-10 years of suffering, I've finally found out what's wrong with me. I thought I had a mixture of IBS and ME but one day I just figured it out and stopped eating gluten. It was like a miracle and I feel so, so, so much better. This only happened in January so technically, my insides are still healing but I no longer feel drugged, like I'm walking around under a veil. I could choose to be angry and frustrated about what's happened and why doctors didn't figure it out but I CHOOSE to feel grateful because I could have been living that way forever *shudder*. I'm always ever grateful for the quality of being humane: can't imagine how it'd be without. I'm grateful for my family and the constant support they give me. Without them I would be lost. I am grateful for my Mother-in-Law because she is the perfect grandmother to my children. They are growing up KNOWING that she loves them and that makes me happy. I am grateful to the community of writers out there. Writing can be a lonely business, connecting to others through the web is just invaluable to my semi sanity. Ooh, yay, contest! Um, I'm grateful to have public education. Even though I'm really nervous about the results of the test I just took, I'm glad that I have the opportunity to take it. I am grateful that my soon to be grandchild is a girl finally. I really need to buy something pink! I am also grateful that the second ultrasound that my baby girl had to have showed no signs of the heart problem the doctor was concerned about in the new baby. Its been a good month for is. Wow! Your post could not have been more timely for me. Four years ago today my mother lost her battle with cervical cancer. Everyday I am grateful for the time I got with her. I am also grateful for my 90 year old grandma and all of the other amazing, strong women in my life (my brothers are pretty cool too! )Thanks for sharing your success! I'm grateful for my husband. My grandma just passed away a couple weeks ago and he's been really helpful in this difficult time for me. He's always willing to do something to make me feel better or just give me a little space if that's what I need. This is so hard. So many things to be grateful for. I can be sentimental and say I'm thankful for my mom who has worked so hard to provide since the divorce. My friends for cheering me up and giving me something else toink about when I'm sad and to just be there. I know this is the most popular answer by my MOM. She's incredible. I don't know where I'd be w/out her! I can't wait for Defiance! It looks beautiful! Thanks! I am grateful for my sister - the person I fought with the most when I was young but the person who has ALWAYS been there for me. I never would have believed then that she would turn into my best friend but she has. She always listens (even though she doesn't always answer the phone) and she always believes in me (even though I've always been somewhat crazy). Thank you, Maureen! I'm so grateful that I was able to adopt two beautiful girls, who make my life complete! i am very grateful that i'm still alive because i came very close to not making it after a really bad car accident almost 2 years ago. also very grateful that medical stuff has become so awesome that i could be saved and treated and i was able to come close to being how i was before the accident! I'm greatful for my Grandmother. She really means a lot to me and i can to to her about almost anything. I'm not really sure what I would do without her. Thank you for the giveaway. I am so excited for Defiance! I am grateful for all of the people in my life who have had an impact on me whether large or small and helped influence who I have become. Thanks for the giveaway, your book sounds great! I am grateful for all the awesome people in my life, as they are always there for me and are awesome. At this very moment I am thankful for my parents for getting me through graduate school! I just received my Masters and will be a Nurse Anesthetist! Thanks for the awesome giveaway. Right now, I'm thankful for my family. They rock :) And my very . . . different life. PS, totally hyped about this book! -Squeals- =)November is too far away. Since my family and all the reasons I'm grateful for them probably go without saying, I'll choose someone else who I'm grateful for: my old high school journalism teacher Miss Winn. She was one of the first non-related adults in my life that really believed in me and supported all the dreams and goals I dared to have. She gave me the opportunity to join the paper and gave me an Editor position even though I was still fairly new to the program, and her kindness, generosity and gentle pushing for my dreams are something I'll never forget. Wow, May has been an important month for you! I hope this May brings something wonderful your way, too. I am thankful for so many things! Health. A baby who sleeps (mostly) through the night. A laptop to type on. The desire and drive to write. These are all huge blessings. First of all, thank you so much for letting us know how important is May for you with its good and very bad things that happened in your life. I am most grateful for my family. They have always been there for me and I can always count on them for everything. I love them so much and am so lucky to have them in my life. Isn't it crazy how things go in cycles? April is always important to me because that's when I decide where I'm going to be for the next year. So after months of not knowing where I'm going it's always a relief for the next step to make itself known. I'm so grateful for my parents. They always support me, even when I know it's really hard for them to do. I'm very blessed to have been given such a wonderful family. Thanks for the giveaway! Seems like the month of May is a big one for you. First, my family. They are everything to me. They encourage me, challenge me, and make me try to be a better person. Second, I got the all-clear this month, after a breast cancer scare. I will always be thankful for May for that! I am grateful for the life God has blessed me with, including my husband and our two children, who teach me something each and every day. I'm grateful that I contemplated suicide after the birth of my daughter. I realize that's a bold statement, but allow me to explain. In 1994 I was in a troubled marriage with a man 14 years my senior (I was 23) and who also had bipolar disorder. I was also pregnant with my first child. My pregnancy was an incredibly difficult one. I had something called "hyperemesis gravidarum" (essentially 24/7 morning sickness with road rage). I lost 40 pounds in the first trimester alone. I was either at the ER, admitted into the hospital, or had home health care coming to my home for the first half of my pregnancy. My life was one of throwing up when I so much as tried to drink a sip of water, incredible weakness from a lack of nutrition, and constant IV fluids. During the pregnancy my then-husband also broke his leg and went on disability, cutting our only income in half. We were already living paycheck-to-paycheck and getting further and further in debt thanks to my medical needs. I also developed gestational diabetes and blood pressure issues during this time. After giving birth to my daughter, I rapidly descended into severe postpartum depression and anxiety. I didn't sleep. I kept the blinds closed. I would often turn off the tv and hide if someone came to the door. I found it difficult to soothe my new baby girl, and felt jealous and guilty when my mother or sister or father could calm her within seconds of holding her. At one point, after I'd been been up with my daughter screaming for several hours straight (I later discovered my daughter was born with Early Onset Bipolar Disorder, which played into even these early difficulties), something terrifying happened. I was so strung out from lack of sleep, so amped up with anxiety, and so convinced of my failure as a mother, that I came to my breaking point. I put my daughter in her crib, left her room, and slammed the door so hard the walls shook. I stood outside of her room and bawled - great, heaving sobs. I closed my eyes and slid down the wall to sit on the floor. When I closed my eyes... The best way I can describe this is that it was like I was watching a movie. Every detail was visually as crisp and clear as that. But in my mind, as I sat outside her door, I watched myself in this mental movie. I watched as I picked up my precious baby girl by the feet. I watched as I swung her body. I watched as I smashed her head against the white wall of her room over and over. I watched as the wall turned red with her blood. I had been, all of this time after delivery, terrified that I was a horrible mom, that I wasn't breastfeeding right, that my baby would be taken from me. Now, I knew she'd be better off without me. I knew I'd rather take my own life than to risk EVER hurting her as I'd done in that mental movie. I couldn't figure out, though, what to do. She ONLY took my breast milk, and only "from the source". She refused to take a bottle, or even a pacifier. I felt she would starve without me, and knew it wouldn't be safe for her to be raised by her father. As I thought all of this, it occurred to me that I was seriously considering killing myself, and that I might have to "take her with me". That realization absolutely terrified me. I picked up my phone and I called my OBGYN. I was sobbing so hard it's still amazing to me that the nurse could understand me at all. My doctor got on the phone within minutes. She told me exactly what I needed to hear in that moment - "The fact that you know it's wrong tells me that you're not going to hurt her". She instructed me to call my mom over, then to have her put the baby in the car seat and drive me to her office. She left instructions to be told of my arrival immediately, even if she was in with a patient at that time. My doctor told me that she knew how much I loved my daughter, how much I wanted to be a good mother, and that she believed in me. She told me that it sounded like I had a bad case of postpartum depression and anxiety. She told me that medication could help, and that I didn't have to stop breastfeeding if I took it. Thanks to my doctor, I got the help I needed. Fast-forward to 1999. At this point I'm in a new (healthier) marriage and I'm once again pregnant. I "only" lost about 15 pounds in the first trimester due to my hyperemesis gravidarum. I now also lived across the country from my family, and hadn't made many friends or developed much of a support system. Having had PPD and PPA with my daughter, I knew I was at a higher risk for having those same issues again. I started looking online, trying to find some sort of support system to hook into. I found a few websites with information, but nothing much in terms of support. So, thanks to the suffering I endured after the birth of my daughter, and thanks to a lack of support resources online, I was inspired to create The Online PPMD Support Group (ppdsupportpage.com). Thanks to the ability to have peer-to-peer support - without having to leave your house, without having to live in a densely populated area, and without even having to reveal any identifying information - thousands upon thousands of struggling mothers have found comfort, support, and education. Several moms over the years have written me years after their struggles to tell me that the website I created saved their lives. I've never made a dime on the website, and that's because I don't my site to be something that profits from the suffering of others. I don't want my website to be an advertisement or endorsement of any one treatment plan. I only want other mothers to NOT feel like I did in that horrible "mental movie" moment - alone and hopeless. So I'm grateful for the lowest point of my life. I feel strongly that I wouldn't have been made to endure such senseless, horrible pain without a reason, without something good coming from it. My experience makes me feel a kinship to the fabled phoenix, because I feel that from the ashes of that pain came the joyful, uplifting rising of something beautiful and profound. Sorry - forgot to include my email. I'm thankful for the amazing friends I've met over the years. Even if they were only around for a brief time, they were there when I needed them to be. They've helped me through so many different things. They've shared laughter, tears, & jokes. They've let me vent, cheered me up, & encouraged me. I'm grateful that my mother came back from the hospital and that it wasn't cancer. I was very scared. My mother and me have been through so much. Anyway thanks for doing the giveaway! Well, I can't win anyway because I'm in Aus but I'm grateful for my partner, my babies, books, and author's like you who share their stories, fictional and non fictional! Congratulations to you C.J.Redwine!!!!! I am grateful for the amazing family i have and the amazing adoption extended family we met in Hong Kong in November 2010. These families (including yours!!) have forever become a part if our lives. I thank God that we had such an amazing travel group that are now life long friends ! 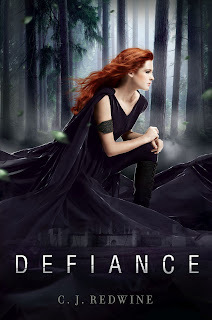 I an so excited for you CJ and can't wait for the release of Defiance! I'm grateful for everyone in my life. My friends and family are supportive, loving, and wonderful people. My parents, boyfriend, and best friends are the ones that keep me going during the hard times and lift me even higher during the good times. Congrats on Defiance's release and thank you for this super wow giveaway. I'm grateful for my dog. She's curled up beside me right now. We're braving the storm together. I never thought I was a dog person until my friends asked me to take her (they had a baby - the dog is not so good with babies :). It was pretty much love at first sight. My dog is sweet and frisky and so huggable - she teaches me so much about unconditional love. When I cry, she jumps in my lap and licks the tears off my face. She's a blessing I never asked for or anticipated. I'm so grateful I get to take care of her. Thanks for sharing your important May-days on here. I can't wait to read Defiance! I'm grateful for my best friend. I've known her since kindergarten and she's been there for me ever since. She's helped me through a lot of stuff with my family and when I was in a really bad place, she helped me feel like a human being again. I'm grateful for my wonderful friends here in Shanghai. They make being in this rather intimidating and often overwhelming and frustrating city a blessing. I don't think I've ever had a group of friends with whom I've felt comfortable just hanging out with until now. I am grateful for my imagination and how it allows me to have so many ideas in my head of novels and stories I'd like to write. I'm also grateful for my family and friends for all their wonderful love and support. I am grateful to wake up every day. Life has thrown some major obstacles at me, but by persevering, and often just surviving, I wake up to a husband that accepts my faults, loves my humor and calls me beautiful. A daughter who shines on me with her beauty, humor, and reminders that innocence is to be cherished and protected. I am grateful to wake up every day and see the snow, sun, rain, the passing of the seasons. To call my sister with my triumphs and failures and share hers. I am grateful to wake up to a cat that is the best editing buddy an author could have and two chihuahuas that cuddle on my desk as my creative juices flow. More than that, I am simply grateful for another day, another breath, another heartbeat. I'm grateful for my parents. They've both been to, in my opinion, hell and back - My dad had a hip transplant and kidney transplant about 2 months apart almost 13 years ago. The kidneys were almost shut down completely when he was being wheeled into the operating room. Around the same time, my mom's appendix burst and for 2 whole days she didn't know what was wrong with her. I almost lost both of them in a 4 week span of each other. (Alright, I'm determined to end this on a positive note) I'm really excited for this giveaway - I've been wanting to read this book ever since you gave me tidbits of the jewelry involved. XD And I congratulate you for conquering your hardships and triumphs. Especially the cancer, that is wonderful!! I am thankful for my parents who take care of me because I've lived in countries before where there would be orphans living on the streets or parents who weren't able to provide for their child, so they would have to beg people for food. I can't begin to account for all of the people that I am grateful for in my life. There have been so many people that have made me a better person and have helped me is so many ways. The person I am most grateful for is my husband. There are times when he drives me crazy but he is a wonderful man and a great father to my two beautiful children. I love him so much and I am the luckiest girl in the world to have him in my life. Congrats on all of your May milestones!!! I can't wait to read your book I heard about it a few months ago and I have been very patiently waiting for it to be released :)!!!! Thanks for the chance to win it a little early!!!! Wow. I'm so inspired by your story. You overcame such odds. I'm an awe. What I'm grateful for is simple. I'm grateful for the gift of life. The ability to wake up every morning and see the sky, my family, my friends, my boyfriend. That's what I'm grateful for. My life that is given to me is a gift. We're given such a small amount of time on this earth that we need to realize what is important, and that's our relationships with others. I'm grateful for my Mom. That's the first thing I thought of. I have a lot of things to be thankful for, but she is definitely number one on the list. We're so close, and I don't know where I'd be without her love and support. I am grateful for my wonderful boyfriend, who made me realize that commitment doesn't have to be something to be afraid of, and who pulled me out of a bad place I was in. I'm also grateful that even though he has terminal cancer, I have a chance to spend time with him. Better to lose love than to never love at all, right? And, well, I believe that. I also believe that everything really does happen for a reason, so as painful as everything is, I have to believe it will be worth it. I'm grateful for my son, he is the only person I can say has been there for me through thick an thin. He has always encouraged me to be a better person, woman, and mother. When nobody else was there to support me he was always there to give me his brightest smile, which is his way of telling me to be strong. He is my heart, support system, play buddy, and more. He is the only person I can say "it was LOVE at first sight." C.J., This is a great contest. I am in the process of reading Defiance right now (and loving it). I am grateful for so many things, but since I just returned from a trip to China, I am going to go with clean air. I am grateful for the wonderful clean air here in Indiana. It's hard to choose just one person I'm grateful for. There's too many to list but I would like to show my gratitude toward a group of wonderful people. I'm grateful for authors. Any author, all authors. But especially Young Adult authors. I've met so many of them (even made friendships with some) and they seriously are some of the coolest people I have ever come across. Not only are they extremely talented and creative but they're so humble, down to earth and just thankful to every reader out there. Whether we, as the readers, liked their book or not. We at least gave them a shot and that's all they could ask for. The amount of pressure, stress, deadlines, rewrites, etc authors encounter they never let it ruin their moods. And may I add how I just LOVE how interactive they are with their readers. Not just teen readers but readers of all ages. How could an avid reader, like myself, not be grateful for such an amazing, diverse group of people? I'm grateful for books because if they've always been there for me even when people haven't been and there are books about EVERYTHING so they always made me realize that I wasn't alone. Thank you so much for giving me the opportunity to tell my story. I love your book. I am very grateful for having my parents in my life. I am 29 years old, and I will always be daddy's little girl. He is always there for me no matter what. Helps me out no matter what. My mom has always been there when I needed someone to talk to. I am very thankful I have them in my life. I was in first grade when my mother ,a 35 year old special needs teacher, was diagnosed with breast cancer. At first it seemed impossible that my mother was sick and eventually she became weaker. My family and I had to come to grips with the idea that she might not make it. We all seemed to live in constant worry that something would go wrong or that she would find another lump. After a grueling fight for the better half of two years my mother was cancer free. I know I am blessed to still have my mother today eight years later. I also know that life is a precious gift and to always live it to the fullest. I couldn't imagine my life without her. I'm glad to be given this opportunity to share my story. I love your book and can't wait to read the others. I am so grateful for my sister. She has been battling health issues for 5 years, and she keeps such a great spirit about herself. She makes me laugh and is my best friend. So lucky to have her in my life! Thanks for the giveaway... I would love to add this book to my classroom library. I'm grateful for my dog. She makes me smile every day - even days like yesterday when I have a migraine and the rest of the day is miserable. She's a goof and I love her. Thanks so, so much for the giveaway! I am grateful for those people who are creative and dedicated enough to write. It takes a lot of time and imagination to come up with an amazing story, and the authors who are able to do it are amazing and inspirational. I hope to one day be in the category. Without books, my life would most definitely be incomplete, I get lonely if I do not have something to read! I have a lot to be grateful for - being alive, having loving friends and family, knowing so many incredible people that bless my life in many ways... you get the idea ;) Why? Simply because they make life interesting, worth living, and sometimes help me get through those days where I wish I could time travel. Ya know? Wow! I hope I win this!! I've been dying to read your book! I am entirely grateful for my family and friends! I come to realize that I am absolutely nothing without them in this world. Omg! I'm so excited about this book! I hope I win!